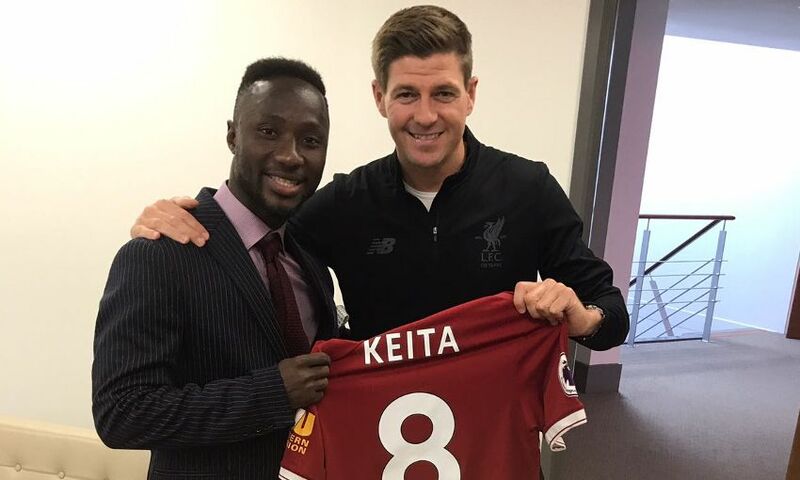 Naby Keita has been allocated the No.8 jersey for Liverpool – and the midfielder has revealed how he was left astounded when Steven Gerrard handed it over to him. The 23-year-old, who will formally complete his transfer to the Reds on Sunday July 1, will become the first player to wear the number since May 2015, when Gerrard left the club for LA Galaxy. And Keita has revealed how he was surprised by the Anfield legend - then the club’s U18s manager - on his first visit to Melwood last August once the club had agreed a deal for his services with RB Leipzig. He told Liverpoolfc.com: “It was an incredible day for me. He gave me the No.8 jersey. When it happened, it was a surprise and I didn’t expect it. “When he came in, I looked at him and said, ‘wow’ because he is a legend. He is somebody who always showed respect, who gave his all on the pitch, somebody who is loved here.